The StockdaleMartin team is growing! 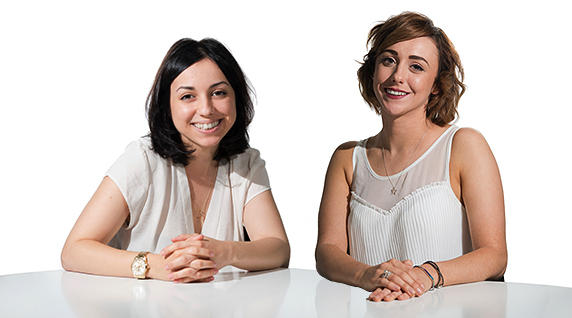 We’re excited to announce we have two new members in our growing team! Anca joined the team in June as our new Marketing Assistant and is already adapting well to StockdaleMartin. She’s currently studying for her Masters in Marketing Communications at the University of Bedfordshire and is with us for her year in industry. Anca, originally from Romania, is enjoying living in the UK. In her spare time she likes dance and cooking and trying new foods – particularly Asian foods. Elizabeth joined the team this month as our new Marketing Account Executive and is already doing a great job helping with the management of our oral care accounts. Elizabeth graduated with a degree in Management and Marketing from the University of Lincoln last year and now lives in St Albans. In her spare time, Elizabeth enjoys running and keeping fit. She also has an unhealthy obsession with Wagamamas!